In a hurry? 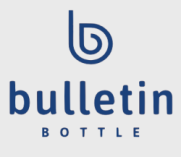 Bulletin Bottle [.com] can likely still help! We have a selection of water bottles with rush service (for no additional charge). From plastic to stainless steel, you’re sure to find water bottles with rush service that meet your needs. Keep in mind that even with our water bottles with rush service, you may still need to expedite shipping on your order. The in hands date will determine whether upgraded transit time is required. Depending on which water bottles with rush service you choose, you may be limited in the number of imprint colors and locations available. Rest assured that when you need water bottles with rush service, our account managers will talk through all of your options and make sure your order meets (or exceeds!) your expectations.